WOW, as good as the Celtics looked winning game 5 in Miami I was sure they'd win one of the final two games to take the series! But as Indiana found out, when LeBron fires up, I'm not sure anyone can stop him. It seems the best bet is to score more than he does, and I think the Thunder may be able to do that. We should be in for an enthralling NBA Finals!! 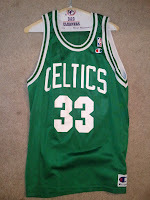 With the Celtics gone, it reminded me that my wife has a Celtics jersey in her closet. But she was never really a Celtics fan. She hails from Indiana and has always been a Larry Bird fan. 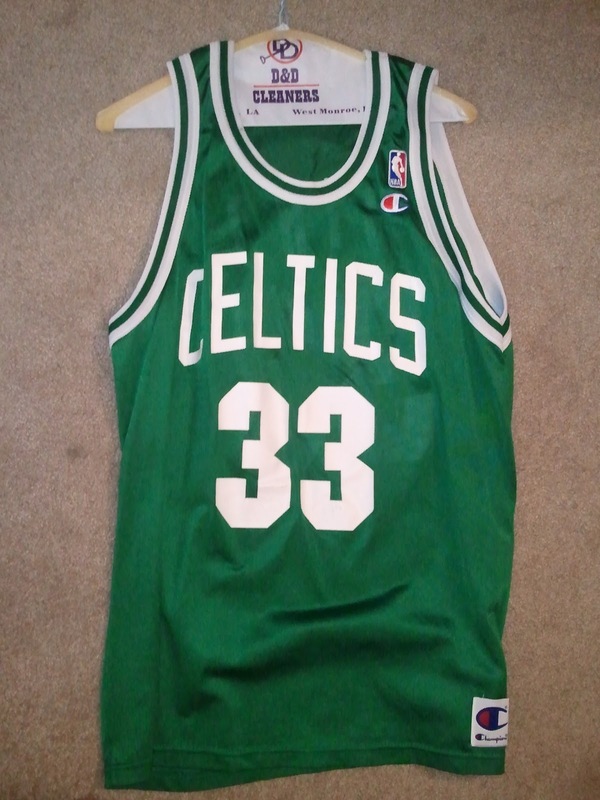 So she didn't really buy a Celtics jersey, she bought a Larry Bird jersey. Undoubtedly, the NBA has promoted this type of fan as they market the personalities of their stars more than the teams. Is this final series about LeBron v Durant, or Heat v Thunder? Reminds me of a lot of Christians. We don't really commit to church. We commit to friends, or a preacher. Then when the friends or preacher move on, the church involvement and faith commitment also fade away. I read recently how when well known preacher/speaker Rob Bell recently left the Mars Hill church in Michigan that he helped plant the attendance dropped noticeably. If we're going to make our faith about an individual, let's make sure it's Jesus. By all means wear your church name on the front of the jersey, but make sure it's always Jesus' on the back!